Judges and journalists, as well as other justice system and media workers of the State of Coahuila, Mexico, may apply to the online course "Freedom of expression and protection of journalists in an international legal framework". The course, entirely on the Internet and free, will be offered on the platform of the Knight Center for Journalism in the Americas at the University of Texas as a result of a signed agreement between the government of the state of Coahuila and the Mexico Office of the United Nations Educational, Scientific and Cultural Organization (UNESCO). This is the first time that this course is being taught at a state level. The course will be taught from September 21 to October 25, 2015 by Margarita Torres and Miguel Rábago Dorbecker, professors at the Universidad Iberoamericana in Mexico City. The course will also feature video lectures given by Catalina Botero and Frank La Rue, who served as special rapporteurs for freedom of expression of the Organization of American States (OAS) and United Nations (UN), respectively, between 2008 and 2014. Judges and other justice workers, as well as journalists and media workers in the State of Coahuila can click here to see more information about this special training. Or can click here to go directly to the application form. Those who are accepted to the course will receive a message with instructions on how to participate. Course participants who meet the requirements will be eligible to receive a certificate of completion of the program. This is the second online training program of its kind in Mexico, thanks to the cooperation between the offices of the rapporteurs for freedom of expression of the UN and OAS, UNESCO, the UNESCO Chair of the Universidad Iberoamericana City Mexico and the Knight Center for Journalism in the Americas at the University of Texas at Austin. The first such program was offered in Mexico between November 3 and December 7, 2014 and was attended by approximately one thousand registered participants from around the country. 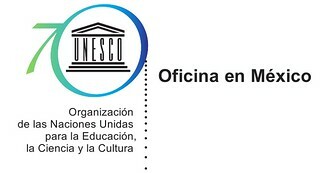 (Learn more about the implementation of the UNESCO Office in Mexico's first virtual course “International Framework of Freedom of Expression and Protection of Journalists” by clicking here. To read about how the course went, click here). As part of the only agency within the United Nations System with a specific mandate to promote freedom of expression and the press as a fundamental human right, the UNESCO Office in Mexico seeks to assist with the promotion of security and protection of freedom of expression, as well as independence and pluralism of the media, as an essential component in the democratic process. In this regard, UNESCO provides advisory services on legislation on the media - both in terms of media regulation with international standards and in the regulation of the media for the protection and promotion of human rights, among others - raising awareness among stakeholders responsible for making decisions about the need to ensure freedom of expression and safety for the work of journalists and the media. It is a pioneering training program that will be implemented at a state level for the first time, in a new form directed to journalists and media workers, with the aim of publicizing the regulations and legal system within international public law on safety and protection of their professional practice. The relevance of this course is that it is a fundamental tool in the Mexican context for strengthening enforcement mechanisms designed to ensure the protection of freedom of expression, press freedom and safety of journalists. Like other Massive Open Online Courses (MOOC for its acronym in English) offered by the digital platform of the Knight Center of the University of Texas - and covering topics such as investigative journalism, mobile journalism, digital tools for journalists, among others - this is an asynchronous program. That means that there will not be marked times when participants must sign in. Each participant has the opportunity to adapt the course to his or her academic or work agenda. Participants can view videos, read analysis of proposed texts and interact in discussion forums as their schedule allows. Participants must fill out a simple online form (click here to access the form). In 48 hours, the Knight Center team will send an email to the applicants who were accepted, indicating a username and password that will allow them to access the digital platform where the course will be taught. Upon acceptance, participants can immediately access the "Introduction" module where the initial course videos are now available. In the first video, Miguel Rábago makes a general introduction to the issue of freedom of expression and the protection of journalists in Mexico. Frank La Rue explains how the theme of the course is located within the Universal System of Human Rights of the United Nations, while Catalina Botero explains how the Inter-American Human Rights System operates. Margarita Torres is responsible for giving the journalistic perspective in all course modules in addition to acting as moderator of the discussion forums that are essential in Knight Center online courses. Professor of journalism at the Universidad Iberoamericana in Mexico City, Torres is one of the co-founders of the organization Periodistas de a Pie, which has been very active on the issue of protection of journalists and in campaigns to end impunity for crimes against media workers in Mexico. The UNESCO Office in Mexico will coordinate all institutions and is responsible for program monitoring and communication with the Mexican media.